A few weeks ago, I gave up on watching Game of Thrones, HBO’s televised adaptation of George R. R. Martin’s A Song of Ice and Fire series. As a fan of the author’s writing I became incensed when the television adaption went from taking artistic liberties to down right creating its own storyline. The straw that broke the camel’s back was when Sansa Stark was sent to Winterfell instead of the Eyrie, like in the books. Did I know that in the following episodes she would be raped? No, of course not. But I knew that it was going to get eventful at Winterfell and she was off in safety. I missed a few seasons of the show, three I think, before I started watching it. During that time I read all of Martin’s books while catching up on the show. I eventually passed the program. It was a wonderful time for me to be inside one man’s world while experiencing it through different mediums. Eventually, the show began to pass the books, which was fine with me, as long as they stayed true to canon, true to the books. But then things starting going off, way off. As I read the books, I remember how I had to stay away from all things A Song of Ice and Fire for fear that I may run into a spoiler or two. Finally, when I did finish A Feast For Crows, I went full on into the world the Martin had created. One of the things that I took away from the books was being reaffirmed in what had happened in the books. As all out hell was about to break out in and around Winterfell, it was nice to know that certain characters were safe. 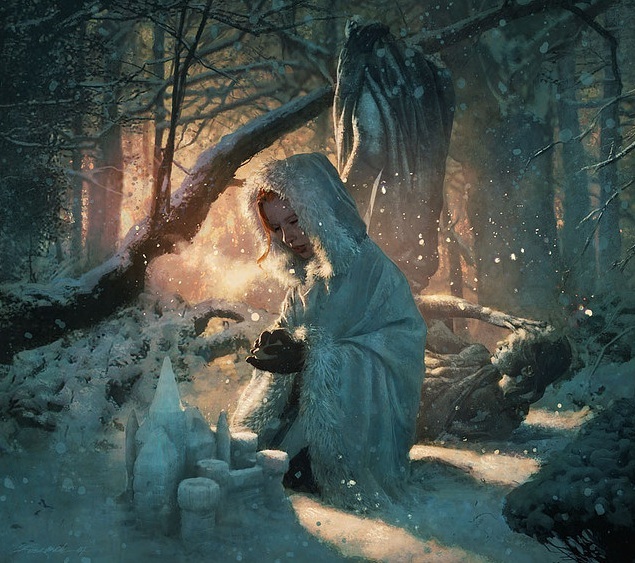 Knowing that Sansa was safe in the Eyrie waiting to take back her home was more than just comforting, it felt like a resolution to a story, even if it was open-ended. But that all changed when HBO and its producers got together and started taking popularity into account. Read: money. So while all this was going on, there has been all types of sides on this. The books are better; the show is better; they’re both good on their own merit; yada yada yada. The only thing that wasn’t brought up was, why not wait? As you read that last part of the sentence, it seems like an absurd option. But it shouldn’t be. It should be the one that is first and foremost on our minds. Art comes in a whole lotta different forms. Paintings to movies, books to theatre, music to dancing, all these different mediums are, at the end, art. And what is art if not to be enjoyed, be that now or later? I think that the overwhelming desire to rush the product in direct spite of the work is a reflection on how poor we see into the future and our impatience for things. We want it now instead of good and that is such a sad, juvenile mindset. In forty years when all the books have been written and all the episodes filmed, how will the work stand up? I have fearful confidence that the books will be held in a much higher esteem than the hurried television program, and that’s too bad. I’m sure the show will go on to please and be considered a success. But it will never live up to its full potential, and that should make all fans of the work, and art in general, a little sad.